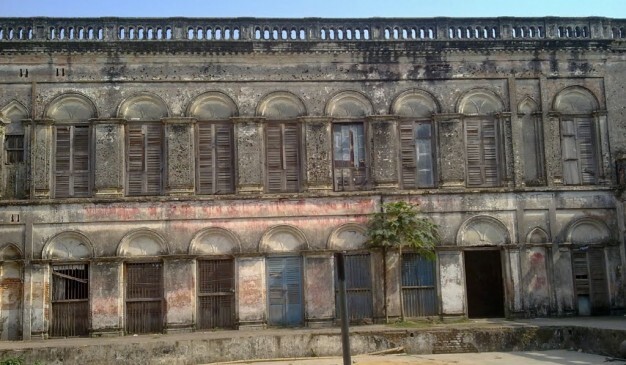 Murapara Zamindar Palace was built during 1890 by Ramratan Banarjee. 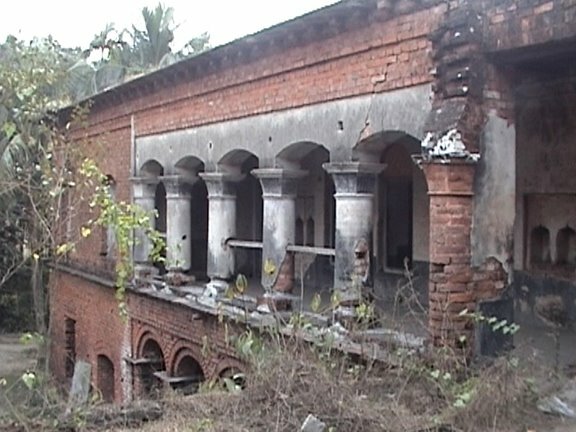 He was a trusted person of a British Indigo Planter during the British Colonial period. At that time when the indigo planter left the country after the death of his daughter, he gifted plenty of gold and money to Ramratan. Using those, he built this mammoth palace. 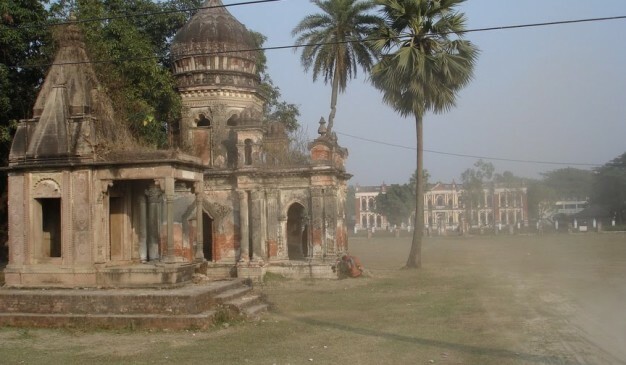 During the war 1971, many ornate portion of the palace was plundered by people. We came to know that there were two statues of lions at the gate of the palace boundary, and both of them stolen that time. 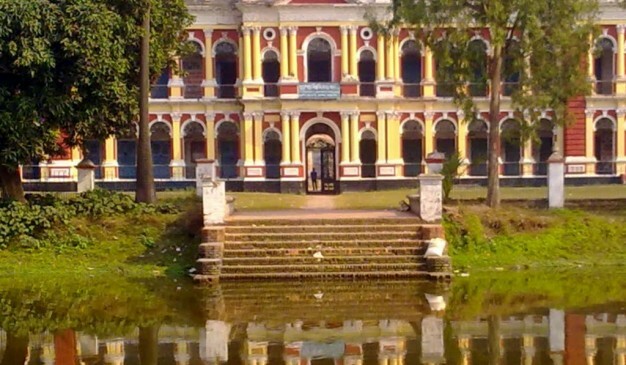 After the war, this palace was used as a refuge camp for the non-bengali people & local people established a college using the building. 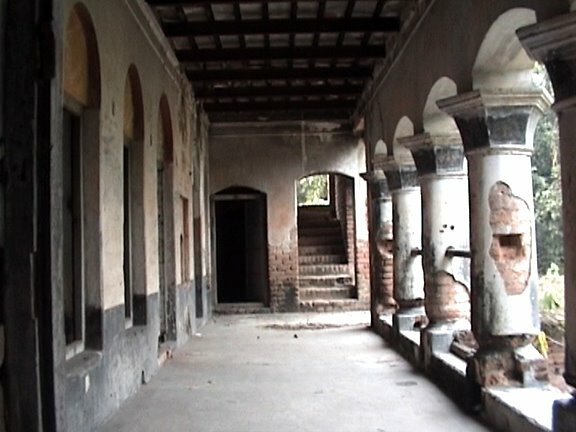 This building was renovated several times, and now a days, it just lost all it’s heritage. But still you can visit the palace for your weekend or any other holidays. 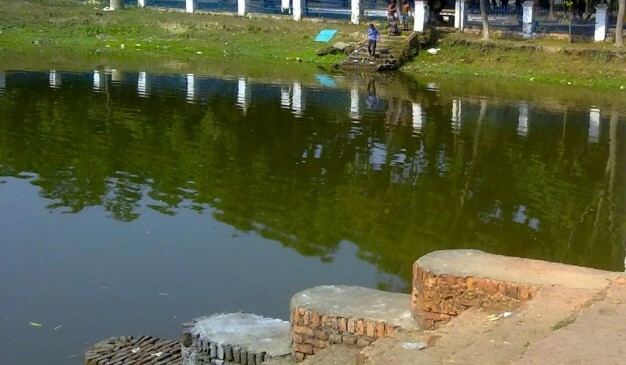 There are two large ponds loacted at the palace premise. One at the front side and another one at the back side. You can take your sit at the bench made from stone (once upon a time, now no stone existing, only brick) to get some fresh air. 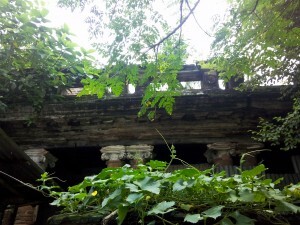 In addition there is an old temple available inside the palace premise. It’s just in front of the pond . 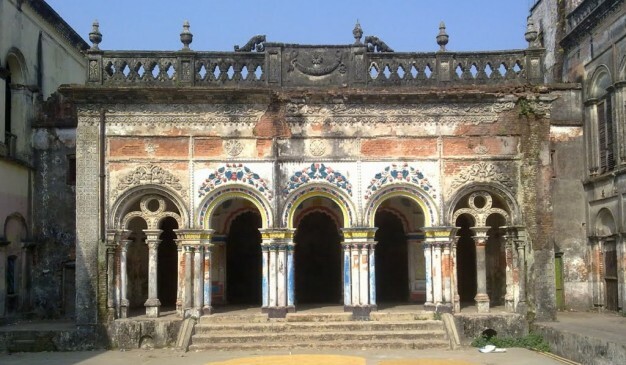 This palace is just beside the highway, and after that you can easily see the river Shitalakkhya (শীতলক্ষ্যা). Its not very far from the Dhaka. One can make a single day trip and visit the place easily. 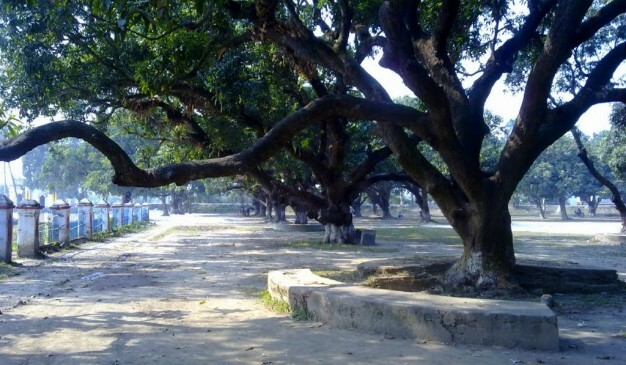 If you are from dhaka, you have to use the Rupganj road from the Dhaka Chittagong highway. 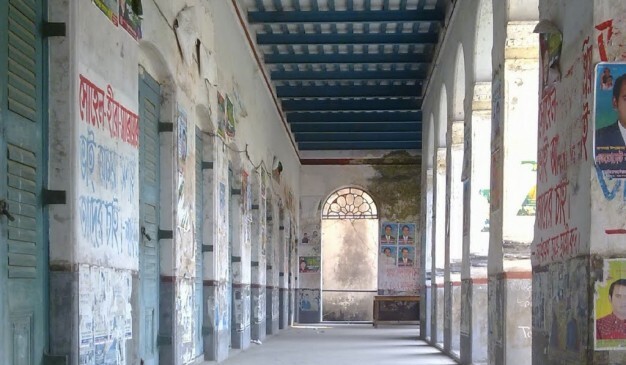 When you are at the Bhulta bazar, just hire a rickshaw or ride on a CNG- auto rickshaw to Murapara college. 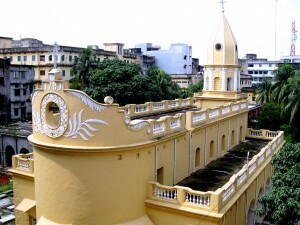 The distance from Dhaka to Narayanganj is 28.1 km, which is around 47 minutes travel from the Dhaka city. 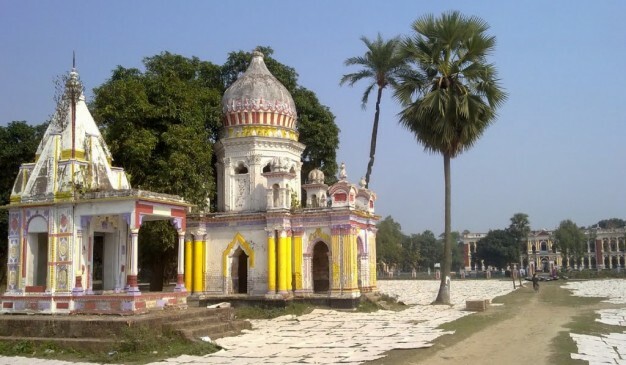 By air, the distance between Dhaka and Narayanganj is 13.71 km. This distance is equal to 8.52 miles, and 7.4 nautical miles. These directions are for planning purposes only. You may find that construction projects, traffic, weather or other events may cause conditions to differ from this, and you should plan your route accordingly. You must obey all signs or notices regarding your route. 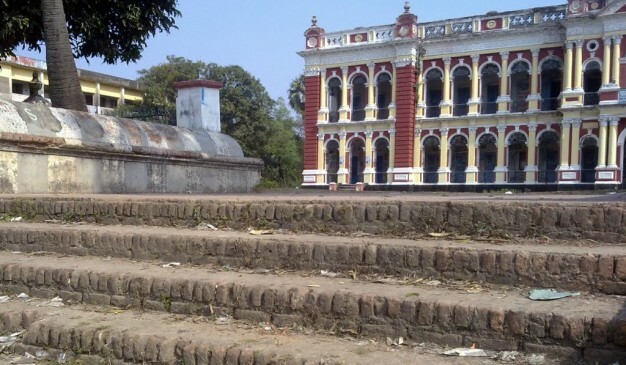 We would like to suggest you to start walking from the western part of the palace and then move forward to eastern side until you reach to the end of the boundary brick wall. This is a very short path. So you can move slowly by watching the old building structures. 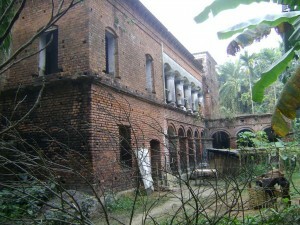 Murapara Palace, also known as "Murapara Jomidar Bari" is located at the Rupganj of Narayanganj. 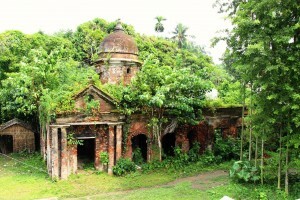 Its not far from the Dhaka.